ETH standard. Your supervisor and the head of doctoral studies of your department will decide on which courses those shall be. Make sure to discuss this issue with your supervisor and inform yourself about possible courses and difficulty levels from other students and suggest them to your supervisor or ask him to drop one if you hear it’s difficult to pass. Because when the courses are chosen, they cannot be changed and you have to pass them or face expulsion. How to find a doctoral position at ETH? To successfully complete a doctorate requires a strong personal interest and commitment from your side, an environment that allows you to focus on your work, and a group and supervisor who support you. Two initial criteria are at the start of the search for a doctoral position: the research field and the supervisor. For the first one some have already a clear idea what they would like to research and to them keeping an open mind and having a plan B is advised. If you don’t know what you are interested in yet, then visit some groups and let them tell you about their research. The supervisor and people you will work with have a major influence on the quality of work and life your next years. You will be stuck with them and need their support and help during your often demanding research. You will be in a strong dependency on your supervisor. The doctoral supervisor has all the cards in his/her hand and it will be his/her subjective opinion determining when and if you finish your degree. Don’t be discouraged by this statement, most of them are really trying to make a good scientist out of you and it should only help you understand how important the relationship between supervisor and doctoral student is. Therefore it is crucial that you pay attention to the character and personality as well as supervision style of the supervisor of your choice. A doctorate at ETH Zurich on average lasts four and a half years, including around 20 percent of your time as a teaching assistant (lab courses, exercise classes etc.). Also, attending some lectures is mandatory (more details can be found in the chapter “continuing education”). After writing your doctoral thesis, you will have to defend your research in front of your supervisor, co- examiners and a chairman before you are finally honoured with your doctoral degree from ETH Zurich. Usually, doctoral thesis projects are carried out at an institute at ETH Zurich or at one of the research institutes within the ETH Domain, namely the PSI (Paul Scherrer Institute), the WSL (Swiss Federal Institute for Forest, Snow and Landscape Research), the EMPA (Swiss Federal Institute of Materials Science & Technology) and the EAWAG (Swiss Federal Institute of Aquatic Science and Technology). However, it is possible to carry out your thesis project outside the ETH Domain. If some or all of the data included in your thesis is obtained outside of ETH, for example at a different university, a research institution or a commercial company, the thesis project must be declared “external”. External thesis projects are only approved under certain conditions. These conditions are described in the “Thesis project outside the ETH Domain” application form, which must be submitted together with an outline of your proposed thesis and your application for a doctorate. Approval for short research visits outside of the ETH Domain is at the discretion of your thesis supervisor. In any case, your supervisor must have access to the facilities you have used and to your test material at all times. More info here. The path towards becoming a doctoral student starts with finding the right supervisor. This is not only the first step; in many ways, it is also the most important one. Browse the websites of groups and departments to find information about the different research groups. Don’t be shy to stop by and ask if someone can tell you about the work done in the group. It is also wise to make use of semester projects to scout groups already during your student days and ask also your fellow students about their experiences. Of course, you should know what field of research you are interested in or what kind of issues you want to tackle: Would you prefer to work mainly in a laboratory designing exciting, complex experiments or on a computer solving important theoretical problems? As soon as you have some idea of what you would like to do, you should start to look for research groups in that particular area to find a pool of possible groups to work in. Do not be afraid to select different fields if your interests are spread broadly. Next you need to find out which group on the shortlist actually has a vacancy. Many are posted publicly (Institute billboards, group websites or on www.eth-gethired.ch. Be aware that some groups may not offer their positions publicly as some professors prefer for students to show initiative and approach the group on their own accord. So feel free to contact different groups and ask for information concerning a possible doctoral position. It’s always worth a try. For the initial contact with a potential supervisor, it is crucial that you are well informed concerning what the group is currently working on, what their biggest achievements are and what their most recent publications cover. You will find most of this information on the internet and you can always try to contact current members from the group. For a formal approach, send or, if possible, bring a letter of recommendation from your Master’s supervisor along with a copy of your thesis, because the potential new supervisor needs to evaluate you and this could help you to convince him that you deserve the job. It would also be extremely advantageous if you already have an idea or proposal for a project. Normally, the publicly-announced positions already give the basic description of a project. In this instance, you should gather information about the project. In either case, be well informed about the topic and read some papers about it. If you think you do not understand most of it (which you really don’t have to at this point, don’t worry), read a review paper on the topic to familiarize yourself with the terms. You do not have to understand everything; however, make sure that you have got some insight (e.g. knowing about some important state-of-the-art approaches to the problem such as “the efficiency of a solar cell so far is… but Professor …’s group claims that it could be increased to… with this technique.”). However, be careful when talking to potential supervisors and co-workers: No one likes a show-off and do not be too fixed on your own idea; first, listen to what they have in mind for you. More important, make sure the potential supervisor is aware of your motivation and interest in working on this topic and in his group. Showing interest, initiative and motivation, as well as being well prepared, is always very appealing to a group leader. It is perfectly legitimate to ask in advance what kind of questions you will face during your interview. Read papers that have been published by the group (Google scholar). Leave enough time to prepare a nice presentation if requested. If you are in contact with some members of the group, ask what to expect. Prepare a list of questions that you would like to ask. Be honest, you don’t need to pour out your heart but lying or neglecting important facts can be grounds for dismissal. Look your supervisor in the face when you talk, and speack in a strong and clear voice. The interview might be in English (even if the professor speaks your language), prepare accordingly. If you have followed all the recommendations, you are more or less ready for your future supervisor’s questions. Of course, you also need to make sure that the working conditions and working atmosphere in the group are as you expect. Not all need to be discussed in the first interview, but before signing the contract. Contracts for doctoral candidates are usually issued for one year and extended annually. Please note that there is a general maximum time of employment of six years for positions with temporary contracts at ETH. The contract sets your salary level which is normally defined by the department (or sometimes the professor) and increases after the first and the second year. There are five different salary levels, the lowest one is unfortunately called “standard” but is by no means the standard salary level. In some departments, for example, the salary level can also increase after a year. Salary negotiations are thus difficult, but not impossible. The standard working hours for full-time employees are 41 hours per week, and you are entitled to a minimum of five weeks’ annual holiday. Depending on the group, working hours might vary. However you are not a slave, so if your supervisor presents you with additional conditions to those mentioned above (like minimum work hours of 60h/week, or only 20 days holidays …) please contact us right away. All strictly confidential, it won’t interfere with your life at ETH but it will help us to improve those conditions in the future in such a group. The salary level evidently determines the amount of money you will be paid. Level 1 and 5 are equivalent to 47’040 and 70’300 CHF gross salary in the first year. For foreign students, that may seem to be a lot. However, keep in mind that the cost of living is also high in Zurich. Doctoral students do not go hungry, but won’t become rich based on their salary. For detailed question concerning contracts at ETH see the websites below or contact the HR department or the doctoral administration office directly. Check with the potential supervisor and co-workers whether your proposed research project is realistic in terms of the resources available and the given timeframe. Check which kind of expertise is available in the group to get an impression of how the group will be able to support you and where you may need external support. If you find that little help can be found within the group on your specific topic, make sure your supervisor feels comfortable with you seeking help outside (e.g., thought collaborations). Do not take the decision to take a position too lightly and make sure that you are not only looking for a potential supervisor but also one that you want to work with for the next few years, the same is true for the group members. Always take your time to visit the group, chat with the members, go for lunch with them and see if you feel comfortable. The final application can be rather informal via email (including a résumé and references). To be on the safe side, simply ask the group’s or department’s secretary about the formal steps. The terms and conditions of a doctorate (not the contract however) vary hugely and are quite flexible and collaborations with companies or other institutions are common, as are interdisciplinary projects. Sometimes the group may have no funding available for an additional doctoral position. In this case, you can suggest to your possible future supervisor to apply for funding from different national or European research funds. Such issues should be discussed in detail with your supervisor. You also need to define the topic of your research and the requirements for finishing your doctoral studies. Take notes when discussing this, they will help you formulate a research plan within the first year. Hand in the research plan in time, its purpose is to protect you from erratic topic changes and is an official document outlining the actual professional requirements to finish your project and so protects you from endless and pointless research. Finally, even if you have chosen your supervisor and group carefully, complications can always arise. Do not let them escalate by not talking about them, communication is essential within a group to avoid tensions. 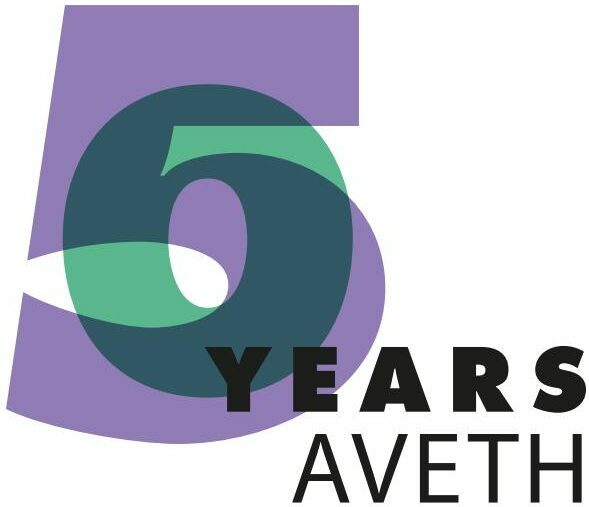 Whenever you feel you cannot talk about or solve a problem, you can contact the AVETH counsellors (see section 7 – Troubleshooting). A last word of encouragement: ETH has a very low dropout rate of doctoral students; most not only finish but are quite happy here. It is a great university in a beautiful city with fantastic people all around you. Enjoy it!